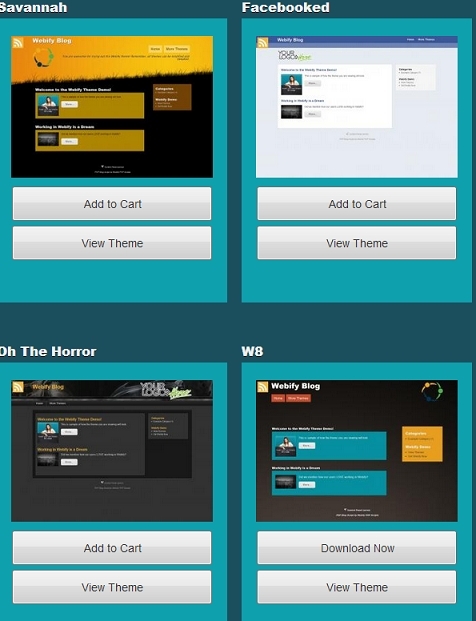 Webify is a fully customizable open source CMS system. User friendly, easy to configure with clean and flexible design features you can use Webify to create your very own website in just a few minutes. Webify Business Directory app is part of Webify CMS that will help you run your own classifieds website. Visitors can register and submit their own business listings or rate other listings. Features like Paypal integration, search engine optimized (SEO), CSS customizable templates, multi language module, Google translate module, on-The-Fly content editing. 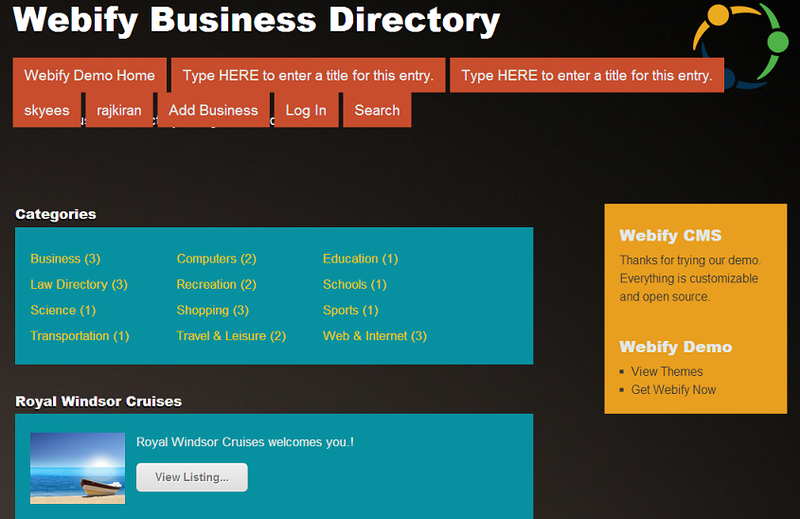 and many more make Webify one of the most comprehensive business directory systems on the market. 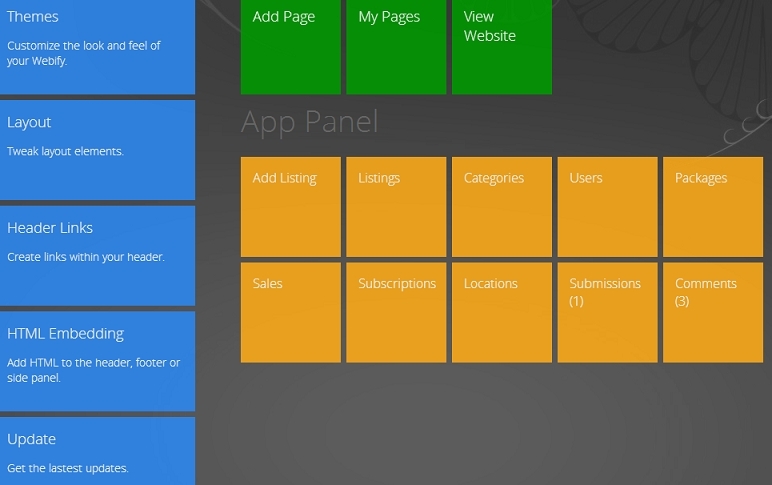 The admin panel was created to allow users to control all aspects of their site with no confusion. You can easily manage and configure everything in the back end-listings,categories,users,packages. Get traffic statistics, change layouts, etc. 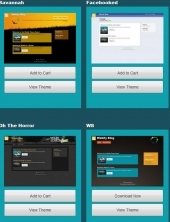 Webify comes with 8 beautifully designed themes you can choose from. 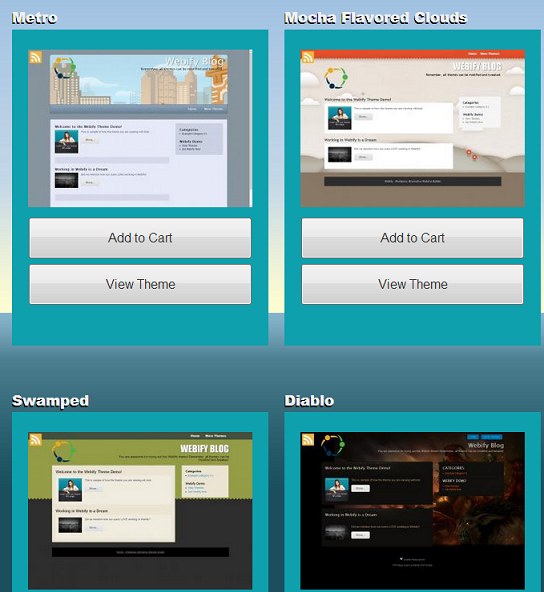 The templates are fully customizable to match the look and feel of your Webify. 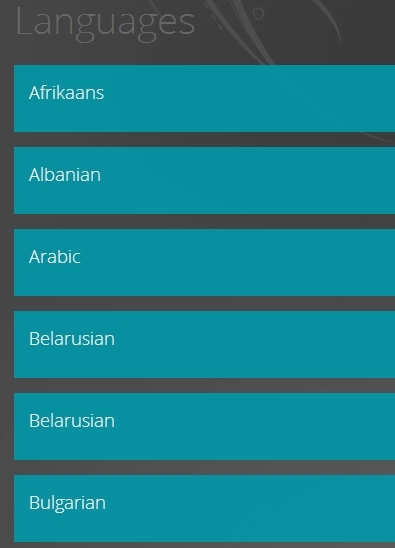 Webify supports more than 50 different languages. They are easily managed through the user friendly admin panel.